A lot of people use Heart rate monitors, GPS watches and other gadgets to track their workouts. But did you know, that you can also upload your files and store them in your training diary log? This article will show you how to sync your training diary with a third party service. P.S: If your provider is not listed here, read this article on how to upload your training files manually. To connect your account, go to your training diary and select "Sync" and "Add or remove trackers". After that, you can choose from the following services. If your tracker is not listed, you can upload your training files manually, just read the article that's linked above. 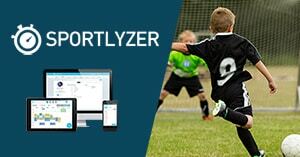 When you have uploaded your training records to your provider and want to sync these workouts into Sportlyzer, you have to log into Sportlyzer and click on the "Sync" button on the top-right of your diary. Can I upload my training data from my GPS watch?